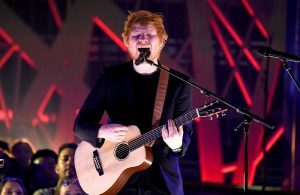 Sheeran performed Triona Priestly’s favourite song for her just moments before passing away. A story has been shared from the brother of 15-year-old Triona Priestly who died in 2014 of the Dubliner spending her last few moments with Ed Sheeran. Triona Priestly passed away a few years ago after a battle with cystic fibrosis. Aiden Priestley, her brother, appeared on Ireland’s The Ray D’Arcy Show to share the uplighting story of how Sheeran called Triona in her last minutes to sing her ‘Little Bird’, her favourite song of his, Digital Spy report. “Then we hang up on him – probably a bit rude at the time – the doctor lifts the stethoscope to tell us her heart had stopped. And we take the mask off because she’d been on a machine to breathe – and in that moment, I remember, a burst of light comes from the window and she smiled”. Sheeran was originally put in touch with the family after his fans launched the Twitter campaign #SongForTri. He tweeted his sympathies when Triona passed in April 2014. In more recent news, Harry Styles has ended Ed Sheeran‘s 13-week run at the top of the UK Singles Chart. Styles’ ‘Sign Of The Times’ outsold Sheeran’s ‘Shape Of You’ – which has been at number one since its initial release three months ago, by just 3,000 copies. The post Brother shares heartbreaking story of terminally ill sister spending her last moments with Ed Sheeran appeared first on NME.